ALOR SETAR — Greed and pursuit of profits can make man act in a cruel and inhuman manner. Human trafficking syndicates involving Rohingya who were treated cruelly, actually also involved Rohingya themselves, who are the main lackeys of the syndicates. “Hassan” (not his real name) said, the involvement of several individuals among among the community itself with human trafficking syndicates in the north of peninsula Malaysia and southern Thailand, is an open secret. “I am ashamed and sad because Rohingya themselves are the big agents of the human trafficking syndicates in Malaysia and southern Thailand. They are prepared to be cruel to their own race. All for money,” he told Bernama recently. The holder of the United Nation High Commission for Refugees (UNHCR) card came to Malaysia in 1985 and is the main mover to the volunteer welfare body for Rohingya in Malaysia. Hassan only agreed to be interviewed by Bernama on the condition that his identity be kept secret to protect himself, his family and close friends. 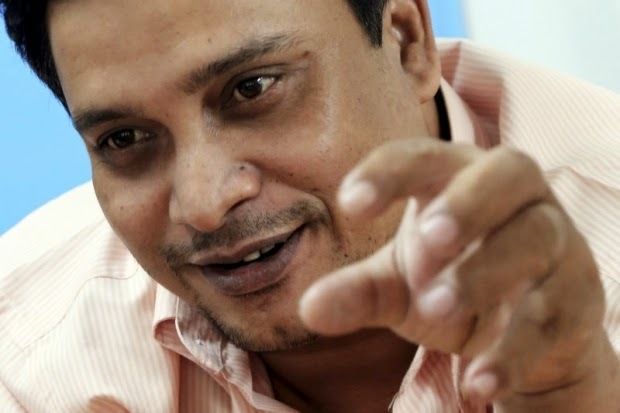 He listed several Rohingya names who are the main lackeys of the human trafficking syndicates in southern Thailand who are responsible for bringing in Myanmar and Bangladesh foreign immigrants to Malaysia. The names which are often mentioned among Rohingya who want to enter Malaysia via the Thai border, he said are “Anwar”, Hamdullah”, Abdul Hafis” and “Ali”. These are the individuals, he said, who are responsible for arranging the arrival of Rohingya refugees from Bangladesh using boats to transit camps on the Malaysia-Thailand border before they are smuggled into Malaysia. Wooden fishing boats provided by the human trafficking syndicates are believed to depart from one location known as Teknaf in Bangladesh, which is located bordering the town of Mongdu, Myanmar. “Rohingya who fail to pay the syndicates will be locked up and beaten until their family members paid up, after which they are smuggled into this country,” said Hassan on the conditions in the transit camps on the Malaysia-Thai border. However, due to the operations by the Thai security forces to eradicate human trafficking syndicates active in the country, Abdul Hafis and Yasin were believed to have fled to India, he said. Anwar and Hamdullah, he said, are believed to have been detained by Thai police recently. After being smuggled into Malaysia, said Hassan, the Rohingya would be handed to individuals from the same race working with lackeys of human trafficking syndicates in southern Thailand. Three often mentioned names are “Mohd Rafique” who is believed to be working with Abdul Hafiz, “Samsul Alam” believed to be a lieutenant of Anwar and “Iqbal Ahmad” who is believed to be working for Ali, said Hassan. All of them, said Hasan, are Rohingya from Myanmar. Mohd Rafique, Samsul Alam and Iqbal Ahmad he said, would take the recently smuggled Rohingya to several locations including rented houses before being moved to other locations nationwide. After being charged from RM6,000 to RM15,000 to board a boat to Thailand from Bangladesh, the Rohingya will again be imposed charges of RM2,000 to RM3,000 to be smuggled into Malaysia, he added.